Omar refused to nap today. I was gutted, thinking he was cutting out naps altogether now and I could kiss goodbye to my blissful toddler-free hour of an afternoon. Then he fell asleep on me at around 4pm so I allowed him 10 minutes before waking him up. 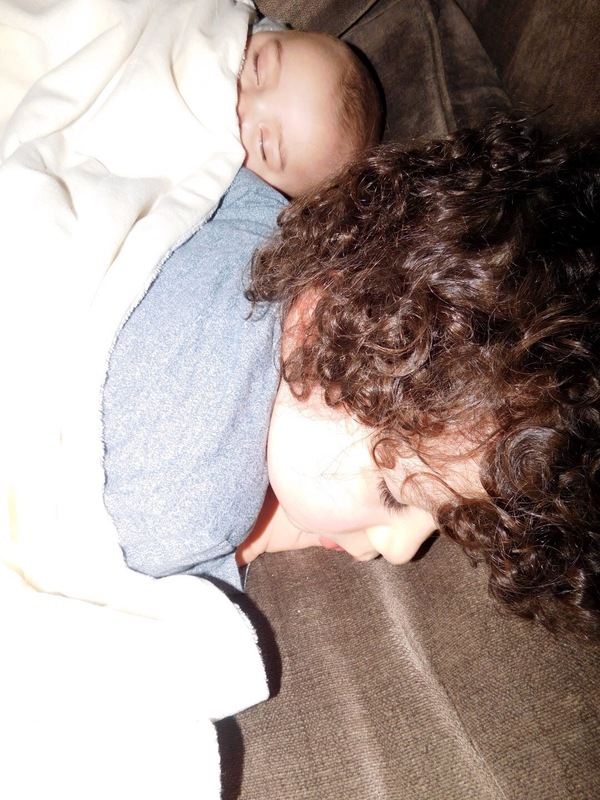 But in his sleepy, gorgeous state he manoeuvred himself onto the sofa next to his sleeping baby brother and snuggled down for more of a snooze. I should have woken him u to avoid the hellish bedtime we’ve just experienced but they just looked so cute that I couldn’t bring myself to. Nothing at all to do with the fact that I was enjoying a hot cup of tea and catching up on Eastenders. Nothing to do with that.